There’s a new realty brokerage in town and it’s already a hit with consumers. 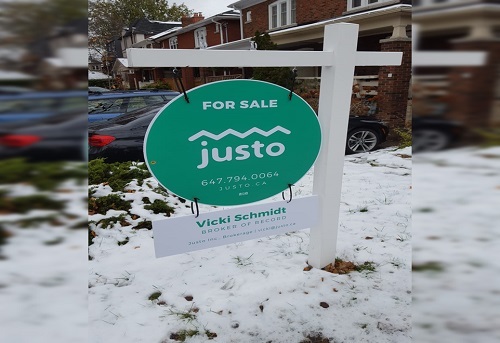 Justo Inc. has only been operating in the Greater Toronto Area since September, but the reception it has received from consumers has been resoundingly positive. One reason is that the brokerage returns 50% of the buyer’s fee. For example, if a home is sold for $750,000, the buyer receives $9,375. The brokerage has been a success with agents, too. Although the commission fee is lower than the industry standard 2.5%, agents recoup that money by having all of their marketing expenses paid for, in addition to the brokerage providing them voluminous qualified leads. Agents are given vast territories—outside of Toronto, it could be entire suburbs; inside it could be Forest Hill, Rosedale, or the downtown condo market—and they have the option of managing their own teams. That Justo also pays for everything from agents’ marketing to staging, virtual tours, professional photography, and more, agents are free to focus on the qualified leads provided by the brokerage. And while the brokerage is keen on accommodating its agents, it does the same for the public. It appears to be working. The brokerage is inundated with inquiries and its staff is busy preparing clients’ listings. Another reason Schmidt believes the community has been so welcoming is that the price of homes has shot up in the GTA over the last few years and every penny saved goes a long way. It’s through innovative offerings like lower agent commission fees and cashback incentives that the brokerage keeps its pipeline brimming.